The process of selling property in Scotland by fixing the asking price on an "Offers Over" basis is alive and kicking writes Bob Cherry, Partner in charge of CKD Galbraith's Ayr Office. The system, whereby the guide price indicated is the equivalent of a reserve at auction, is sometimes criticised by those not used to it. However, it works and is widely understood by the market as demonstrated by our house sales in 2006. rural property On average, our sales took 15 weeks to complete from the time that the property was first put on the market. In 2005, it took an average of 17 weeks. Sale prices averaged 16% above the "Offers Over" asking price. 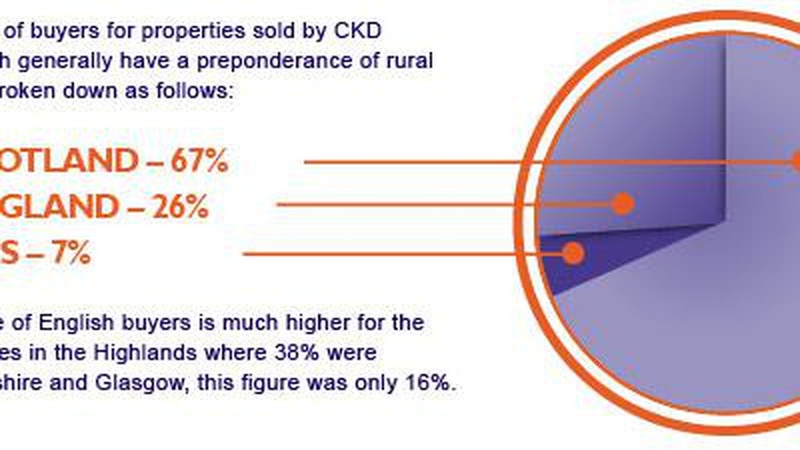 These figures are based on CKD Galbraiths total residential sales of 120 million in 2006 (2005: 86 million). A shortened average sale period in 2006 and a healthy sale price above the asking price emphasises the importance of having good applicant lists so that applicants can be immediately advised once the property comes on the market. On average, 129 applicants were personally notified at the commencement of marketing for each property sold by CKD Galbraith in 2006. There are still more buyers than sellers, particularly for good quality and well located houses. However, with interest rates edging up, buyers are price sensitive and increases in value are likely to be more modest than in recent years.